A suicide bomber has killed at least 85 people and injured about 150 in an attack on a campaign rally in south-western Pakistan, officials say. They say a provincial candidate was among the dead in the town of Mastung. 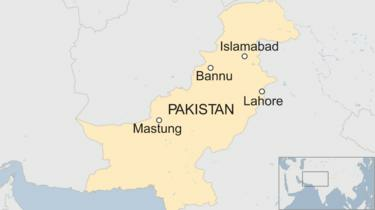 Earlier, a bomb attack on another election-related gathering killed four people in the northern town of Bannu. There are fears of further violence ahead of general elections on 25 July. Sharif and his daughter Maryam were taken into custody by officials from the National Accountability Bureau (NAB) after landing in the northern city of Lahore. They were later put on a chartered plane bound for Pakistan’s capital Islamabad. Reports say that they will be then transferred to a prison. What is known about Friday’s attack? 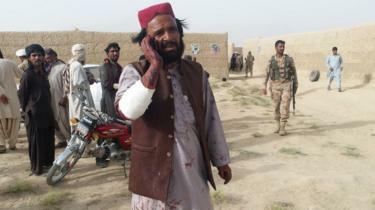 The attack in Mastung was the deadliest such incident in Pakistan in more than a year. There are fears that the death toll will rise further. Among those killed was Baluchistan provincial assembly candidate Siraj Raisani, his family said. He was a candidate for Balochistan Awami party. Significantly, all attacks have come in the aftermath of the conviction of former Prime Minister Nawaz Sharif by an anti-corruption court. 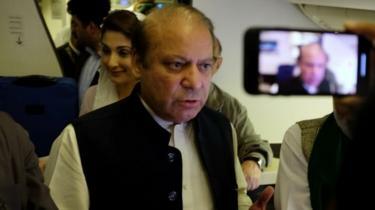 Tensions across Pakistan have been rising ahead of Sharif’s return to the country. Thousands of police officers have been deployed and shipping containers have been placed on some main roads in to block supporters from reaching the airport.